AMAZING VALUE FOR BAY FRONTAGE! 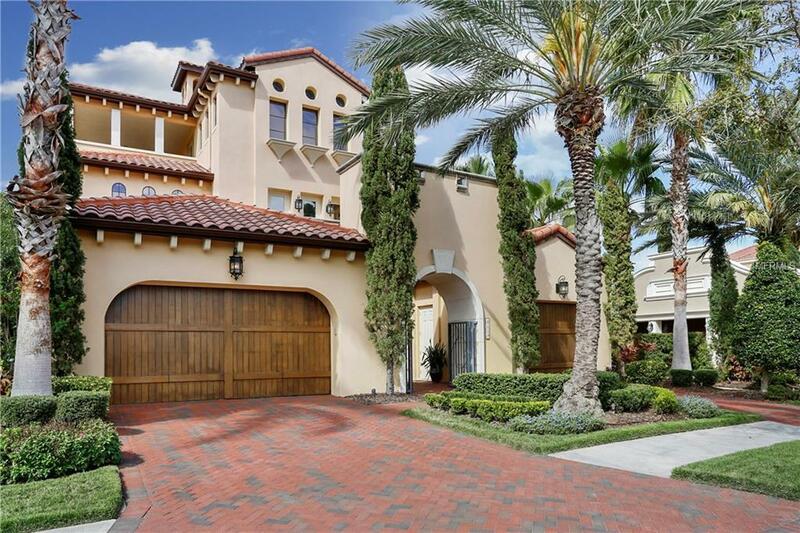 In the sought after community of Westshore Yacht Club, this breathtaking Mediterranean waterfront estate with a beautifully updated interior provides incredible views of Tampa Bay. An inviting courtyard entry welcomes you to expansive living spaces, architectural details throughout, formal dining room, updated chefs kitchen featuring Viking appliances, and first floor master bedroom featuring a morning kitchen and spa-inspired bath. Three outdoor entertaining areas, multiple terraces and the finest of finishes offers refined luxury in the 4 bed, 5 full plus 2 half bath estate. Superior appointments include new Restoration Hardware lighting, elevator, media room with blackout shades, game room with built in wet bar. Enjoy the very best of recreation and entertaining with a stunning resort-style infinity spa, pool, full outdoor kitchen and fireplace on the main pool level. The exclusive lifestyle of Westshore Yacht Club boasts the outstanding amenities of The Bay Club, with spa and fitness center, two pools,149-slip marina, dining and tiki bar. Adjacent to the newly developing Westshore Marina District which will soon be walkable to additional shops, restaurant and hotel! Video/Audio Surveillance On Premises.